LCE 6th-grade teacher, Lisa Fungo and LCHS math teacher, Brian McDermott (not pictured) were named the 2017-18 Rose Harrington Educators of the Year on Wednesday, May 30th. 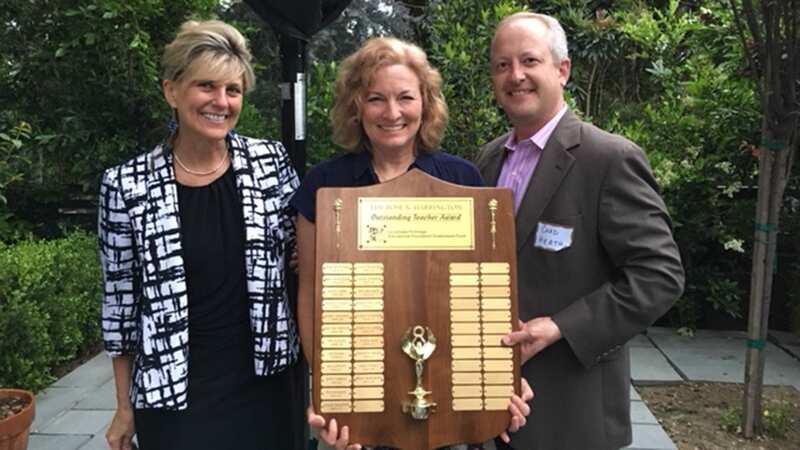 The Rose Harrington Educator of the Year Award, which comes with a cash prize, was established in 2002 by a bequest made in the estate of local resident Rose Harrington, who herself was an educator. The bequest is managed by the LCFEF Endowment Fund and this year’s selection was coordinated by a committee appointed by LCFEF Trustees, drawn from a pool of nominations that were made by the public at large. According to Mrs. Harrington’s bequest, the intent of the award is to recognize educators whose contributions in the classroom often exceed expectations, consuming personal time and energy.